Assisteens is the youth auxiliary of Assistance League chapters. Assisteens Auxiliaries have been a part of Assistance League chapters since 1959. Currently, 44 Assisteens units provide volunteer service and leadership opportunities for students in grades 9 through 12. Each Assistance League chapter is autonomous, tailoring its programs to its local communities. The associated Assisteens unit is unique as well, establishing programs and events to fit local needs and resources. A variety of service and leadership opportunities are available to members with opportunities to grow and find purpose. 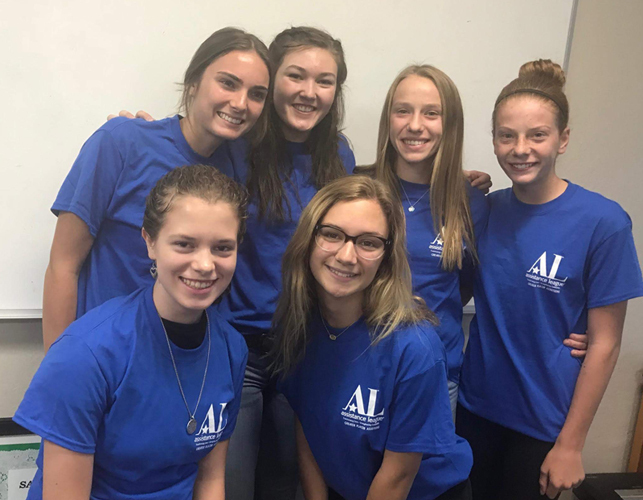 The Assisteens of Greater Placer inaugural class began in June 2018 and is continuing throughout the next school year, developing programs and activities for the future. This first class has a unique opportunity to shape the future direction of the group. What is required to be a member of Assisteens? Interested in joining Assisteens of Greater Placer? Want more information? Complete the interest form below.